We are excited to announce a wonderful new upgrade to the Kid’s Club. Newly named the Hummingbird Club, the Kid’s Club has benefited from its relocation to the beautiful Garden Terraces of The Tryall Club. An ideal location, the Kids Club now has the advantage of a large garden and play area on a superb lawn with brilliant views of the Caribbean Sea. Kids will enjoy the new revamped program, which features treasure hunts, Jamaican storytelling, face painting, and beach Olympics. At Tryall, vacations are for parents and children alike. Tryall offers activities and services that allow you to enjoy all the elements of a grown-up getaway, while your children are entertained, cared for and close at hand. 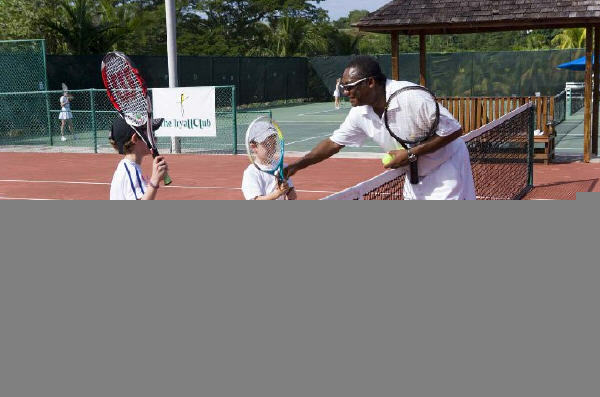 The Kids’ Club offers daily activities which make full use of Tryall’s amenities and the expansive grounds of the estate. The tradition of caring for young ones is very much a part of The Tryall Club hospitality, and is available through the services of babysitters. The Concierge is very happy to make arrangements for you. The hourly fee is US$4.50 for one child, with a fee of one dollar for every additional child. Cribs are available for the length of your stay.